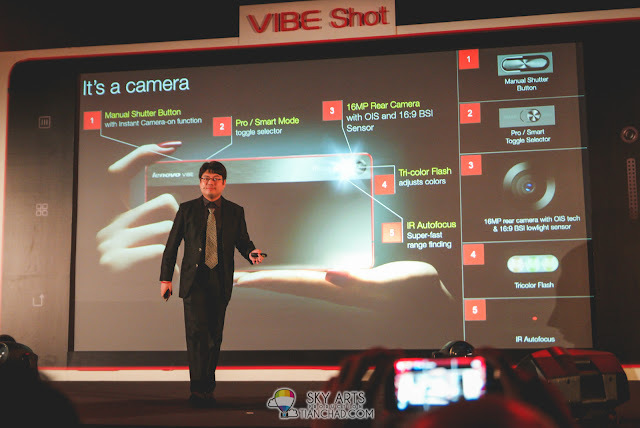 Finally Lenovo launched the Lenovo VIBE Shot in Malaysia and I was really interested to know the performance of this camera smartphone that has been claimed as a good phone designed for all photographers. I've always hunting for other smartphone which has excellent night capture feature (especially for concert) and affordable at the same time. 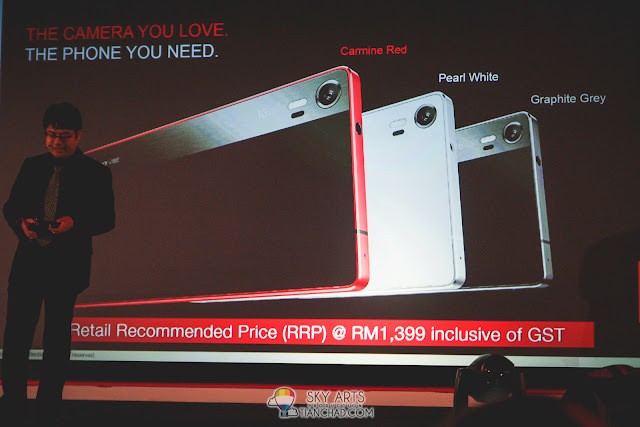 Selling at RRP RM1,399, this phone with sleek design and new features deserve a little shoutout. 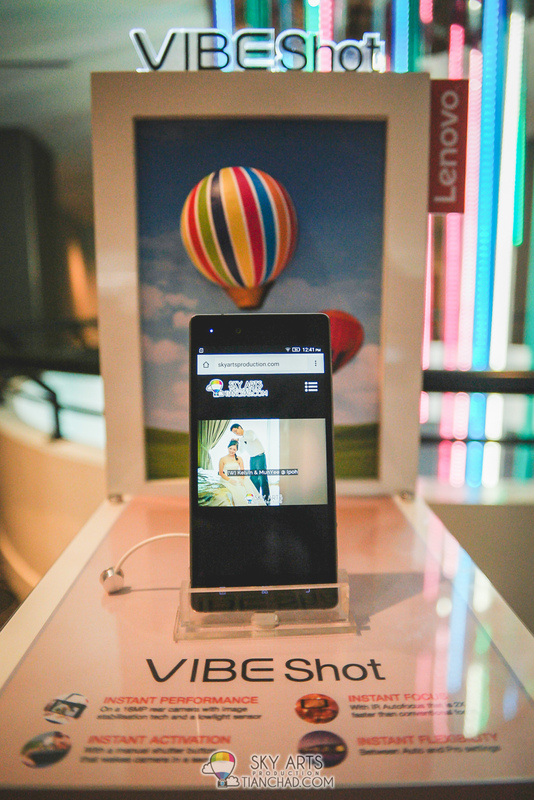 Lenovo today announced the launch of the Lenovo VIBE Shot, a smartphone that promises the best of both worlds. With a 16MP main camera and 5.0” Full HD screen promising the best of both worlds by combining a fabulous camera with a premium smartphone, the VIBE Shot is tailored specifically for both shutterbugs and savvy socials who love a good design. 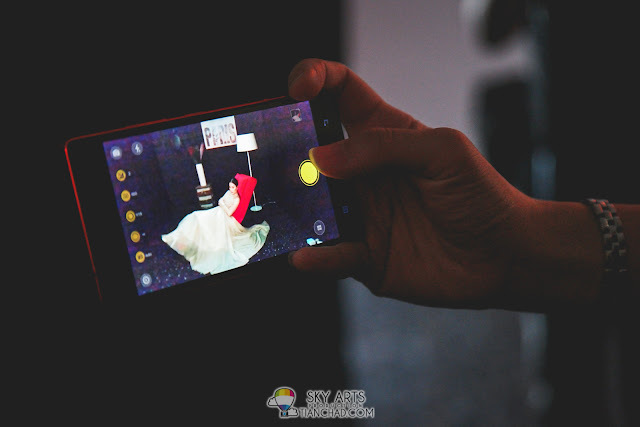 Users will never again miss a shot of life’s special moments with the arrival of the Lenovo VIBE Shot. 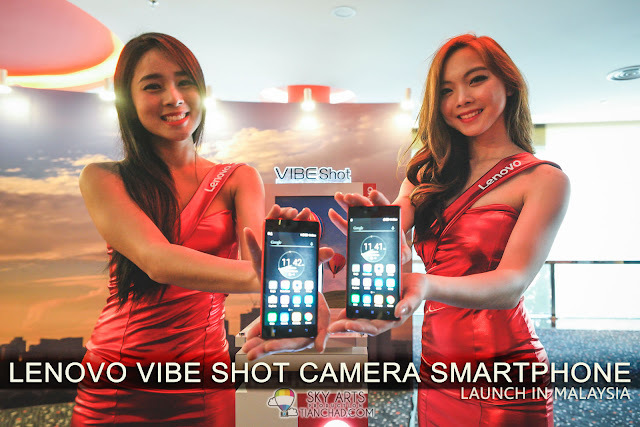 The introduction of Lenovo VIBE Shot was done with having models being photoshoot using the camera smartphone and studio light instead of using DSLR. As a photogrpaher myself, the lighting setup definitely could create the scenario that Lenovo VIBE Shot could be a professional camera phone. That time I wasn't sure if the Lenovo VIBE Shot can be synced with studio flash or not. Above performance are just part of the launch and I did doubt that Lenovo VIBE Shot can capture such photo in dim light especially fast action like the hair flipping. If it really can, professional photographers who work in studio will find difficulties in getting clients already haha!! “The VIBE Shot is a stylish yet powerful smartphone that is perfect for people who want both a phone and a camera. 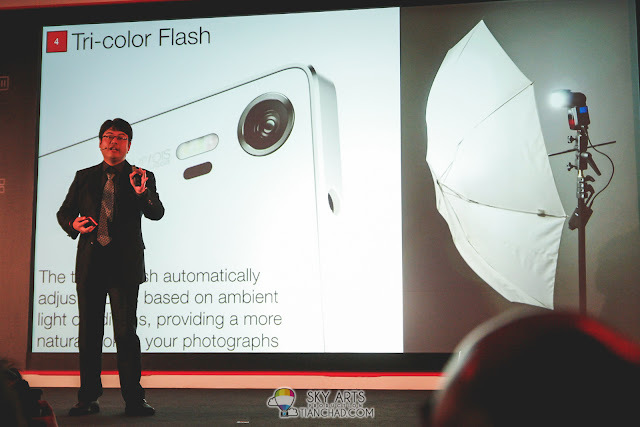 This latest product underlines our sustained commitment and effort to innovation, by giving people what they need, in a compelling design,”said Foo Mun Yee, Country Lead, Lenovo Smartphone, Malaysia. As a photographer myself, I do like touch screen, but I still prefer a physical button that can act as a shutter button. With that you can selfie using the rear camera without trying so hard to find the shutter button on screen. Like a standalone shooter, the VIBE Shot features a dedicated shutter button, which can be used to instantly activate the camera function to snap the perfect shot. Its on-board infrared auto-focusing (AF) system is twice as fast as a conventional autofocus*, while the tri-color LED flash ensures more realistic skin tones – a world’s first for smartphones. Meanwhile, superior low-light performance and clarity for shooting images in darker interiors or at night are supported by a 16:9 BSI sensor, and optical image stabilization (OIS) tech ensures reduced blurring should the camera accidentally move or shake. Based on the explanation, this Tricolor flash will enable you to have better night photo with correct white balance. It will be good for photography of night event but the limitation is 50cm from the subject. 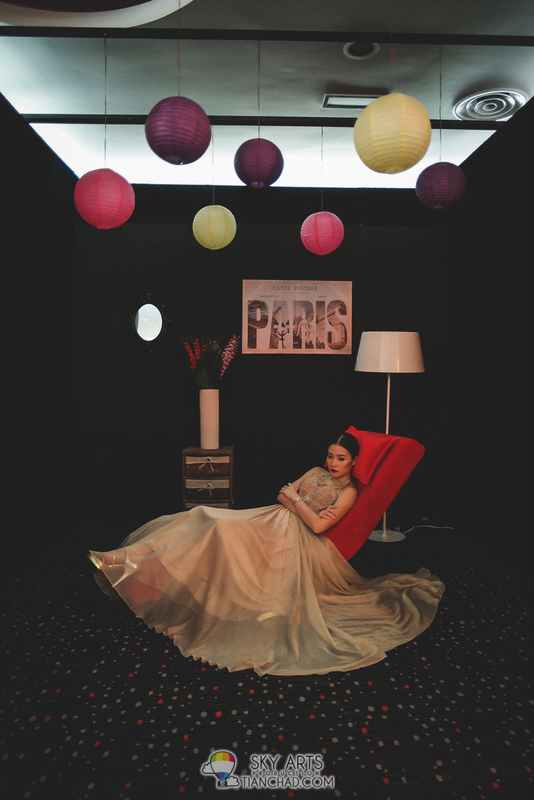 (I consider it good already because professional camera need a heavy flashgun using 4 AA batteries for better lighting). Maybe if the camera is good enough, taking photo without flash will turn out great as well!! At the flick of a switch, users can easily toggle between the camera’s Auto and Pro modes. Targeted at budding shutterbugs, a highlight of the Auto Mode is its Smart Composition function, incorporating automatic scene detection and an onscreen “point & shoot” guidance. The Pro mode,on the other hand, gives enthusiasts manual controls such as aperture, shutter speed and ISO settings, enabling limitless compositions to unlock their creativity. Another world’s first is the panoramic selfie feature that lets you take three selfies and turn them into one that includes more people. 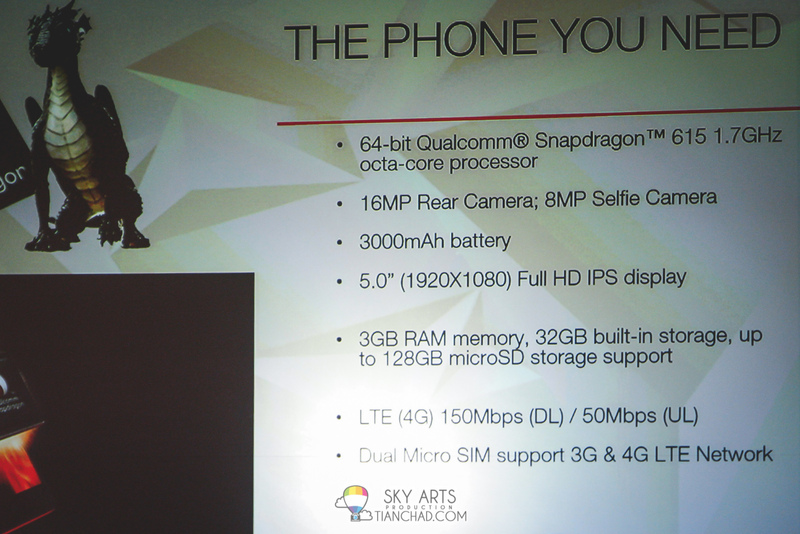 Based on the written specification of Lenovo VIBE Shot, I think the phone is good enough for overall usage. 16GB built-in storage is never enough for smartphone nowadays so 32 GB is a wise choice! Furthermore with 3GB RAM, I can definitely multitask on several photo editing apps without affecting the speed I guess? If you have two different telco sim, this phone suit you even more. Keeping the VIBE Shot snappy is a Qualcomm Snapdragon 615 processor on top of an octa-core chip which is engineered for multitasking while remaining extremely power efficient at the same time. 3GB of RAM adds to the performance, and a 32GB of built-in storage, expandable up to 128GB through a microSD card support, enables you to have all your photos with you all the time. With 4G / LTE support, users can expect the smoothest Web browsing and online gaming experiences too. Besides picture perfect images, the VIBE Shot utilizes premium materials boasting a full aluminum outer frame, plus front and back Corning Gorilla glass. Merely 7.6mm thick, the VIBE Shot will slide readily into any pocket without leaving an unsightly bulge. For now, it will be available in Carmine Red and Graphite Grey to reflect each user’s distinct persona and digital lifestyle. For me, I will choose something like Lenovo VIBE Shot when I want to travel light without needs to carry heavy DSLR around. It is actually a good and bad news for photographer like us. For photographer, lighter camera that create awesome images is a great tool for not only us, but also everyone who need a camera smartphone. The bad news? Some people might think that they can do what professional photographer does and our skill in capturing your precious moments could be ignored. 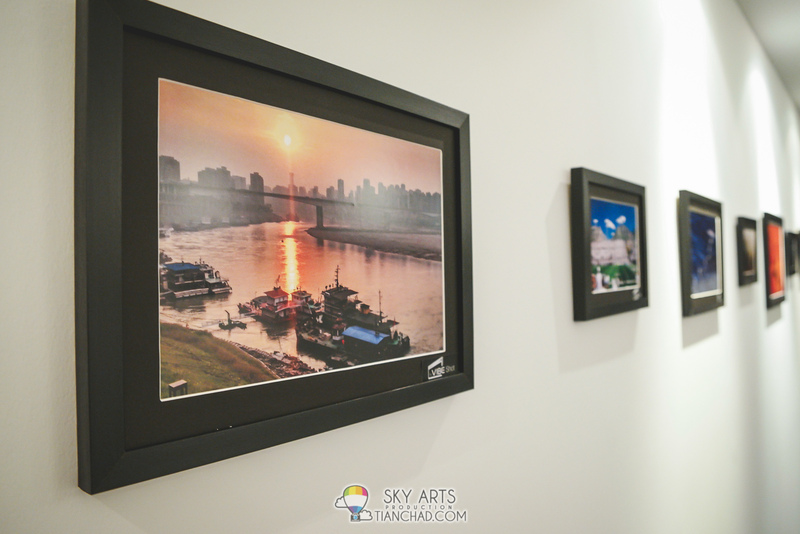 They will question why we charge a decent price for the "same" photography service haha!! 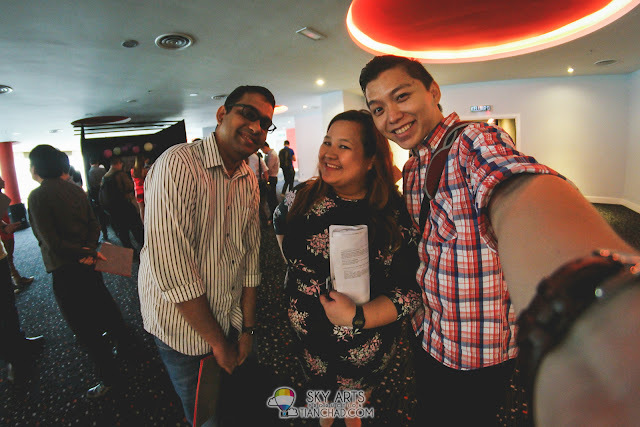 Kugan from MalaysianWireless and Fiona a long time PR friend!! Good to see you again!! The Lenovo VIBE Shot will be made available at all Lenovo Smartphone Retail Partners from 18 August 2015 onwards at RM1,399. 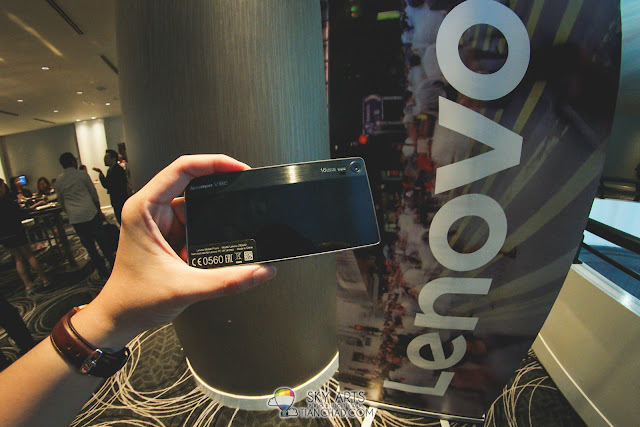 For the latest Lenovo news, follow them on Twitter and Facebook. Based on my first hands on, Lenovo VIBE Shot has what photographer need to control the camera on the phone. IT has the manual mode for us to control the ISO, Shutter Speed, Aperture and even the focus distance. Based on the specification, the smartphone should be smooth enough to open multiple apps at same time and suitable for multitask person like me. I tried capture photos at dark and it was reasonable with the current mobile quality. Maybe I just need to explore more of this new Lenovo camera phone as I think they have smarter camera mode to capture better photo in not just low light but other scene too. Please wait till I got my hands on the phone for longer period then I can judge it more accurately from my own photographer and social evangelist point of view. 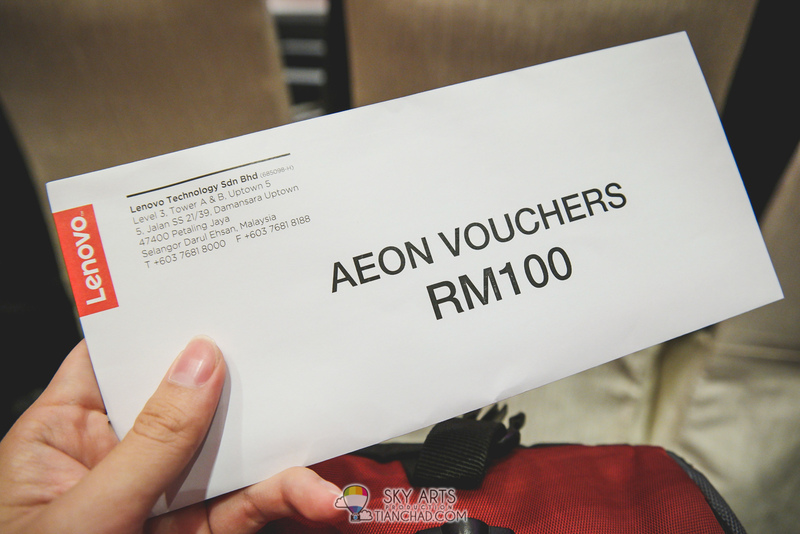 RM1,399 is definitely much more affordable than other premium smartphone in the market right now. Well, it does comes back to this question - Do you get what you paid for? ?